This bouquet is the image of luxury with elements of deep red and gold. We have selected the finest red Rhodos Roses and paired them with stunning golden Ruscus, Bear Grass, and Pittosporum. The red, gold, and green elements are carefully balanced to ensure that the Roses take centre stage. This ravishing red rose bouquet is sure to steal the show no matter where it is displayed. 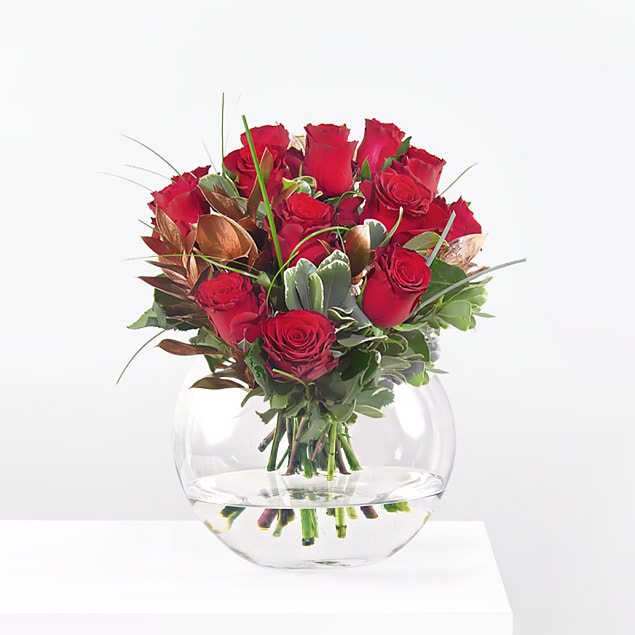 Ideal for all occasions, red roses are usually associated with romance. 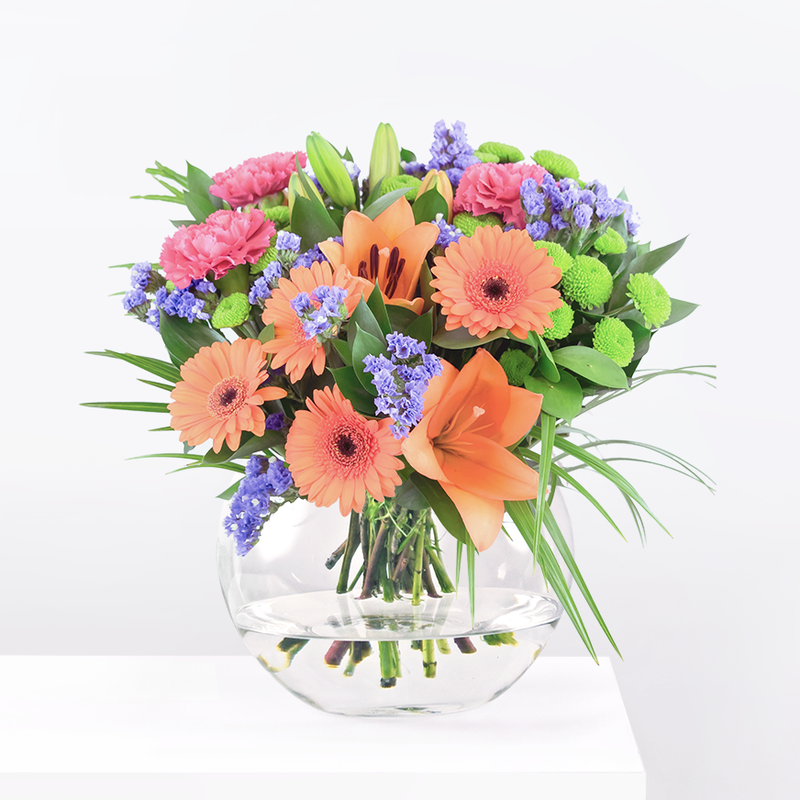 This is why they are particularly popular for Valentine's Day, anniversaries, and similar romantic occasions. Red Roses has been added to your basket.